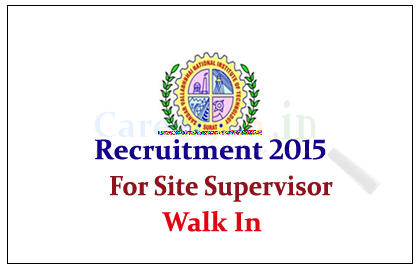 S.V National Institute of Technology is recruiting for the post of Site Supervisor in Civil Department for the year of 2015. Interested and Eligible candidate can attend the walk in interview on 15th June 2015. The Transportation Engineering & Planning Section of the department invites applications on plain paper for the post of Site Supervisor (Civil) for the Third Party Inspection (TPI) assignments related to road and bridge works. Eligible candidates can attend walk in interview to beloe mention address on or before 15.06.2015, For more details kindly check official Notification.